The Muslim Obstetrician & Gynecologist - Muslim OB/GYN > Medical Blog > Shot > What about that “shot” they have in Mecca? I have no idea how many times I’ve heard about the magic “shot” in Mecca. “My (insert as you like….friend, sister-in-law, cousin….) told me it made her bleeding stop immediately!” It got to the point that I started doubting the advice I traditionally gave to a patient (see 8/30 post) and started to wonder if there was some medication I had forgotten about or overlooked. I ended up talking with a good friend of mine who is also an OB/GYN, who actually lives in Riyadh and has herself been on Hajj several times. She laughed at my question and confirmed for me what I already knew: there is NO magic “shot”. When people are on Hajj or Umrah, and there is an issue with spotting or bleeding, there is a shot they give women, it is a high dose of progesterone. 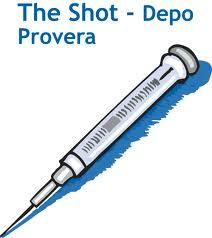 This shot is available in the United States (called Depo-Provera). The same medication is available as a pill: Provera, Ortho-Micronor, the “minipill”. The reason most OB/GYNs shy away from progesterone for the case of menses suppression in the near future and for a short period of time is that there is a very high risk of spotting. In some cases, the risk is over 15%. And since the problem is the bleeding in the first place, and you don’t have 6 months to wait for amenorrhea (absence of menses), progesterone is an inferior option in planning for Hajj. DISCLAIMER: Information in questions, answers, and other posts on this site are for general information, and are not intended to substitute for informed professional medical advice, and do not establish a physician-patient relationship. The site is not intended or designed for EMERGENCY questions which should be directed immediately by telephone or in-person to qualified professionals.